Well thought out lighting design is so essential to the overall mood of a space but it is often overlooked. Great design takes a little more effort at the outset of the build but the results will be enjoyed for many years to come. Zoning can be achieved by dividing a space into key sections and proportioning the lighting fixtures throughout these areas and dividing the controls for these areas. This is particularly pertinent for spaces with multiple uses like a living area with an open plan dining area adjacent to it. Down lighters can be split into banks on separate switches or dimmers. In this way different light levels can be achieved. Creating mood lighting is much more than making sure that adequate levels of lighting are achieved. It is about highlighting key areas, objects or surfaces and dark spaces to contrast these. 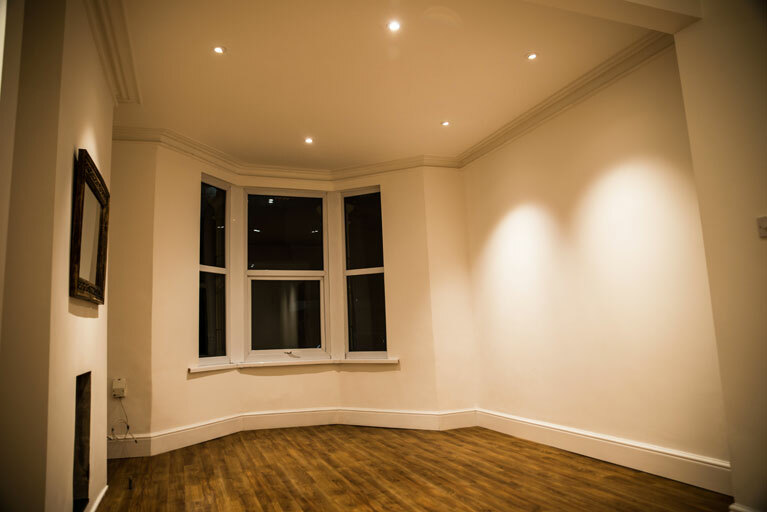 A mixture of different lights in a room can add depth to the overall feel of the space. For example down lighter and pendants work well in combination. Up lighters can highlight special features, treasured possessions or mark walkways. Small LEDs’ can be incorporated into decking outside or on stairs. A little imagination here goes a long way. Another option is Passive infrared detection (PIR) for corridors or bathrooms. The idea is that the lighting comes on with movement detection and stays on as per pre-set timer. No need to fumble around in the dark looking for a light switch and no chance that a light will be accidentally left on when you go out etc. RECOGNITION OF THESE ASPECTS IS BECOMING INCREASINGLY IMPORTANT IN GREAT LIGHTING DESIGN. CALL SAGE ELECTRICAL TODAY TO DISCUSS HOW WE COULD GIVE YOUR HOUSE THE “WOW FACTOR”. Design process: SAGE works closely with the client to find out the intended use of the space and tailor makes a design to suit their needs. We not only assist with the design but can also install and test the system for you.